Get your budget in shape for 2015 + $50 Amazon GC Giveaway! Hi Everyone! I am excited to have Rick from FitFin here today to give us some great tips on budgeting. He is also going to share with us an awesome app that makes it easy to keep a budget. He is also giving away $50 gift card to Amazon. Thank you Rick for this timely post! My name is Rick Portillo and I created a website/web app called FitFin to help me manage my day-to-day spending. 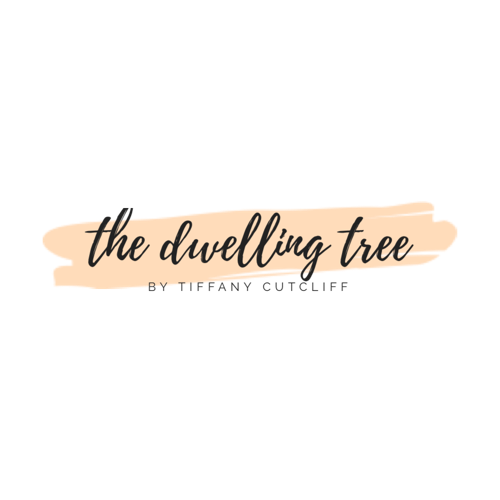 I’m very excited to share it with The Dwelling Tree community! To encourage you all to try it, I’m giving away a $50.00 Amazon.com gift card. Anyone who signs up atwww.fitfin.com will be entered into a drawing to win the gift card! You can earn one contest entry by creating an account (it’s free), another by signing up for our newsletter (no spam), and an entry for each person you refer who signs up. FitFin is short for Fit Finances. Those of us who want to get into better physical shape try to do so by exercising regularly and watching what we eat. Same concept with FitFin: We’ll get into better financial shape by reviewing our budget regularly and watching what we spend. Reviewing our budget? Sounds about as fun as a root canal, right? With FitFin, you only need to look at your budget for about ten seconds to know exactly what’s going on. By the way, did you know that over 60% of Americans don’t budget? And a lot of us who do rarely review it. Why? Because budgets are boring! You’d probably rather clean out the garage than think about budgeting, right? Me too—and you should see my garage! FitFin makes it easy though. We combine your budget with your shopping list. This pairing probably sounds about as natural as chocolate-covered pickles, but let me explain how it works. FitFin is three tools in one: A budget, an expense tracker, and a shopping list—and they all work in sync. You set up your budget(s) in seconds. You can create budgets for things like groceries, dining out, etc. You can also set temporary budgets for vacations and the holidays. Both individual budgets and an aggregated budget are summarized on our Budgets Overview page, so you’ll know where you stand in seconds. There are even historical charts to help monitor spending over time. The expense tracker is great because you can add an expense quickly, take a picture of your receipt, and attach it to the expense (no more receipt piles!). FitFin organizes your expenses, so you can sort them by store or by date. Each expense is tallied against the budget to give you real-time spending-to-budget info. You can also split expenses between multiple budgets. Shopping lists. According to Reader’s Digest, eighty percent of what we buy at the grocery store is purchased every week. Rather than write milkon a piece of paper 52 times a year, store it permanently (and never leave it on the counter!). You can also save an item’s price and quantity. Then when you activate items on your list, FitFin will give you an estimated spend total for the list. Something else that’s nice: There’s a “Check budget” link right on the shopping list! Isn’t it better to know what you’re going to spend ahead of time and how that affects your budget? The idea for FitFin popped into my head while I was in the baby aisle at Target. I’m not a financial guru—I’m a dad who needed to budget, but hated doing it so badly that I found a better way. Please give FitFin a shot. It’s free, works great, and it could get you a $50.00 gift card to Amazon.com. All good things. Drop us a line at support@fitfin.com with questions or comments. Contest is open to US/ Can Residents 18+ older. All entries will be verified. Thanks! Green your decor: Andrew’s Reclaimed wood giveaway! Let’s Be Friends Blog Hop is now live! Come link up! I don’t spend a lot of money regularly so that if I do want to treat myself, I don’t feel guilty or bad about it. Ashley, with FitFin, you can set one budget or several for things like going out to eat, groceries, entertainment, etc. I have several budgets, but FitFin also shows me a combined total of all spending to all budgets at the top of the Budgets Overview page. This lets me know the big picture and also the details for each budget. It takes about 10 seconds to know what’s going on with my budget and each budget is color-coded (green/yellow/red, like traffic lights) to let me know if I need to slow down or stop spending. I can also see charts that show my spending over time. Please shoot me an email at rick@fitfin.com if you have any questions. Thanks! we have a monthly budget and get cash for groceries & misc. so we know when we are out! This is awesome! I am using Mint for my finances, but I definitely want to check this one out! We try to pay all our bills online and all of our groceries, gas, clothing, and fun stuff with cash so we can see just how much and how fast we are spending. I pay my bills online, I also leave the house with a certain amount of cash so I know I don’t over spend, since the New Year I have trying to be more budget friendly, and not to impulse shop. I keep all of my receipts for gas, food, and different bills for my taxes, I also do not exceed a monthly budget unless it’s absolutely necessary..like an emergency. Also any credit cards I have stay at zero and are paid within 25 days. That way the credit card pays me a monthly fee to keep it that way! Hi, Dana. With FitFin you take a photo of your receipts and attach them to your expenses. Please let me know if you have any questions by shooting me an email at rick@fitfin.com. Thanks! maleficent, you can create FitFin lists with prices, so that as you add items to your list, FitFin will tally up an estimated total spend for that visit to the store. Let me know if you want me to show you how it works. You can reach me at rick@fitfin.com. Thanks! I write down the dollar mounts that I spend each day –cash, credit card and check. I also budget out each amount for the month. Hi, Maureen. FitFin makes it easy to log your daily expenses as they happen (I do them in the parking lot before I leave the store). I also take pictures of my receipt and attach a copy to my expense. It allows me to do things as they happen and not have to mess with them when I get home, and since it’s the same tool I use for my grocery list, I already have it open. Please let me know if you’d like to know more by shooting me a note at rick@fitfin.com. Thanks! I coupon a lot and try to pay cash when possible. Jojams, it’s always good to plan ahead! FitFin allows you to set shopping lists with item prices. As you add items to your list, FitFin will tally up an estimated total spend for that visit to the store. Let me know if you want me to show you how it works. You can reach me at rick@fitfin.com. Thanks! I use coupons, enter contests and never run a credit card balance. I use coupons all the time and always pay with a debit card. I try to use coupons and pay with cash for groceries so I still to my limit. I keep an excel spreadsheet and log all of my expenses. It really is eye-opening when you look back at what you spent. It keeps me on track when I can see the bottom line. I use coupons 99% of the time! Hi, Kim. I also used a spreadsheet in the past and it worked well. But what I like about FitFin is that I can log my expenses as they happen (I do them in the parking lot as I’m leaving the store). I also take a picture of my receipt and attach a copy to my expense. Then I’m done and don’t have to mess with the spreadsheet when I get home. Please let me know if you’d like to know more by shooting me a note at rick@fitfin.com. Thanks! I use apps to keep my finances in check. I have monthly spending limits for each category (groceries, eating out, make-up/beauty, etc.). I’m excited to get using FitFin! I love how it has coupons linked to the site! I use cash and coupons to help keep me in my budget. We have our priorities strictly laid down- i.e. premium-quality groceries and health/fitness, which is where the bulk of our expenditure lies. Dining out, entertainment and traveling come secondary. how i budget is i make a list and how much i want to spend when i go shopping and only spend that much. i also like to find coupons on what i want to buy to save some money. I look for sales everywhere i can! generosity. Pick me, pick me! For us the bills come out & what is left is broken down to priorities. But I use coupons, price match & always read blogs & post as to how to spend better! I use cash often and I try my best to stick to a monthly budget! I try to pay cash as much as possible so I don’t mindlessly charge a credit card. This is so cool. I’ve been looking for the best app to help me track my expenses plus help me budget my money. 🙂 This sounds awesome. Will definitely try this out. Thank you for sharing! I have a monthly budget & I am awesome at sticking to that budget. I use coupons & online discounts when I can. No credit card- I use cash for everything so I’m never in debt. Works for me! I don’t have any tips – I need all the help I can get! I’ve been getting much better with my budget but I definitely like the idea of tracking my shopping! Kinda gives you an idea of what you’re going to spend before you get there! What I find helps is to make a category for every expense you have so every cent you spend is accounted for. And I try to input receipts the same day or at the very least the same week….that way I can see if I’m on track and how much more of my budget I can spend in certain categories. I need to actually follow my budget. No more “Oh, just this once” every. single. time. I really budget my money to the penny and use coupons! Great giveaway! One of my best tip for keeping on a budget is to use a set amount of cash for each day. When you spend it, you’re done for the day. This really helps to get a mindset for making it last through the day. I keep track of what I spend and use coupons. I use lots of coupons to save money. Hi! I am Tiffany. Lover of coffee, chocolate, wine, friends, and the mountains. This blog is my open journal. 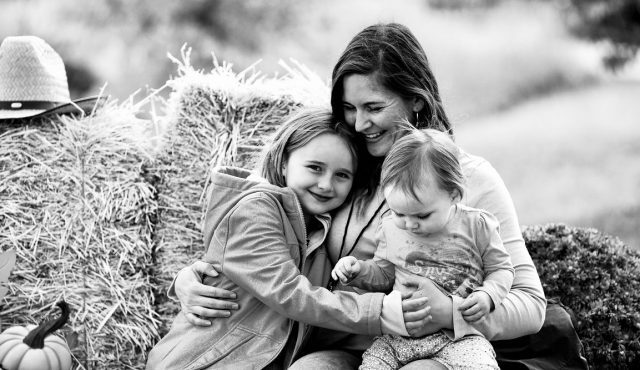 Wife to my favorite man who defies the norm and is the cook in our home, and Mom to two beautiful daughters. My hope is in the Lord! Copyright 2012 The Dwelling Tree. All rights reserved.